The 3rd DENVI Annual Meeting was held on Monday 28th May 2018, Kumpula Campus. Thanks everyone for participating! The annual DENVI meeting gathers together all DENVI students and supervisors and gives students the opportunity to present their work, get feedback for the talk and meet internationally renowned keynote speakers in DENVI’s fields of science. The meeting is multidisciplinary so all DENVI students regardless of their field are encouraged to participate and present their work. The best talk and poster prizes at the 3rd DENVI Annual Meeting were awarded by DENVI director Juha Mikola. In addition to Juha, Karen Sims-Huopaniemi, Olle Järv and Johan Kotze took part in evaluating the talks and posters. 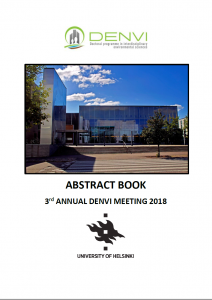 Abstract book for the 3rd DENVI Annual Meeting is now available online featuring the abstracts of 19 oral presentations and 5 poster presentations. Tiit Tammaru is a Professor of Urban and Population Geography and a Chair of Human Geography at the Department of Geography, University of Tartu. His main fields of research include socioeconomic and ethnic segregation, urban and neighbourhood change, migration, residential mobility, and housing. He is especially interested in understanding the interplay between income inequality, urban poverty and spatial segregation of ethnic and socioeconomic groups. 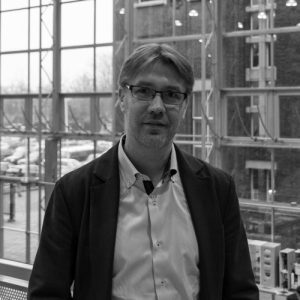 He is the lead editor of the book “Socioeconomic Segregation in European Capital Cities” (Routledge, 2016, http://segregationeurope.tudelft.nl/) and “Estonian Human Development Report 2016/2017. Estonia at the Age of Migration” (https://inimareng.ee/en/). Auditorium CK112, Exactum -building. Address: Gustaf Hällströmin katu 2 B.
with the assistance of Karen Sims-Huopaniemi, Tuuli Toivonen and the support from the DENVI board!